You are here: Home / Arts & Culture / Movies / Documentaries, Storytelling and Pittsburgh – My Tale of "My Tale of Two Cities"
Documentaries, Storytelling and Pittsburgh – My Tale of "My Tale of Two Cities"
We have been patiently waiting for the premier of this movie – My Tale of Two Cities, a documentary about Pittsburgh which has been in the works for a few years now. Back in 2006 we posted the invite to come join in a neighborhood sing along of “Its a beautiful day in the neighborhood.” The film is complete and the screening is November 28, 2008 at the Byham Theater. You can read more about the film at MyTaleOfTwoCities.com. We started IheartPGH after meeting people who didn’t grow up here but choose to live here – each person had a story about what brought them to Pittsburgh. Those stories turned into three years of stories about people and places in Pittsburgh. So it is hard not be excited about a documentary length story of Pittsburgh which has the potential to take the Pittsburgh story to a whole new audience beyond Western PA. I am eager to see which Pittsburgh stories were selected for this film. Check out the trailer here. I learned a few facts about Pittsburgh that I had not heard before…who knew Pittsburgh was the birth place of bingo? You know how you hear about something and then it becomes one of those things that just keeps crossing your path. That is how I feel about Carl Kurlander‘s story of Pittsburgh. I first learned about Carl Kurlander from a chapter in the book, What Should I do With My Life, which I was reading on a plane ride to California a few years ago. Actually I learned about Carl Kurlander the week before when I was sitting at a local bar with some friend and friends on friends who taught at Pitt at the time – some one nudged me and said he thats Carl Kurlander at the end of the table. I think I probably gave them a confused look and some one mentioned that Carl Kurlander was a producer of Saved By the Bell – well that got my attention. Whether you loved or hated Zach Morris and crew you have to respect the popularity of that show. 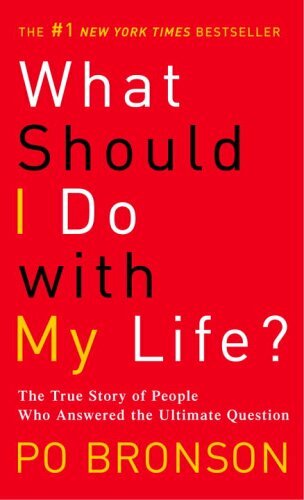 I had bought the book What Should I Do With My Life many months before I actually read the book – kind of an aversion to reading self help books. It wasn’t until I read another book, Urban Tribes, that referenced WSIDWML that I decided maybe I should give it a read. So I am reading the book and I see the name Carl Kurlander, then I read about his story of coming back to Pittsburgh – part of it was the shock that someone who was responsible for creating what I thought was the typical all american high school experience, wasn’t from California at all – he grew up in the same neighborhood where I grew up. Part of it was the IheartPGH thing – I like hearing and writing about other people’s stories of Pittsburgh. So here in this wildly popular book is Carl’s story of returning to Pittsburgh. I think the WSIDWML talks about the fact that Carl was planning on moving back to California. But rather than return to California, Carl has worked on bringing hollywood to Pittsburgh with the Steeltown Entertainment Project. I highly recommend the books Urban Tribes and WSIDWML, both have been influential in my thinking about the power of connecting people with story telling.